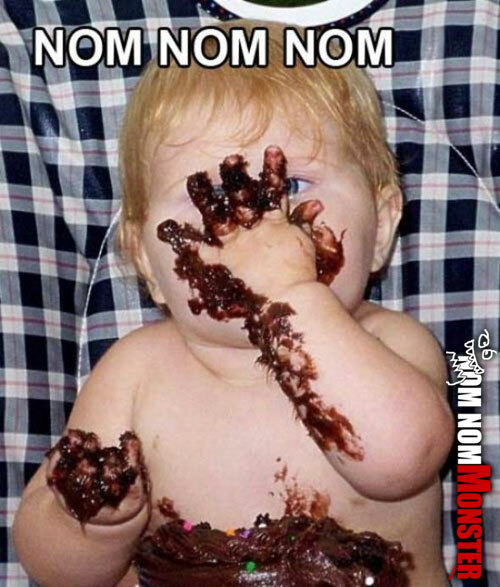 This little guy knows how to really dig in. First through fiftieth birthdays should be like this. No forks all hands and faces. Then go outside and someone will hose you off. Liked to know where you got this picture. I took it. Its my niece not a little boy.